The economic crisis, which began in 2008, has provided us with a number of lessons. The latest chapter of this evolving story involving Cyprus, provides another. One of the most important morals to the story is that there are benefits to a country being independent. Take the example of Iceland. This small country, with a population not much more than Aberdeen, had an enormous banking sector. When this collapsed, tiny Iceland was faced with debts that looked insurmountable. But with help from the IMF, capital controls and a currency devaluation of around 36%, Iceland was able to successfully overcome an enormous debt crisis. Iceland’s position now is actually rather enviable. Its sovereign debt rating has improved. Its economy has been growing at an enviable rate of over 2%. It has largely retained its social cohesion and unemployment has been kept relatively low. Of course, no one should underestimate the scale of the crisis which hit Iceland in 2008. The Icelanders went through an extremely difficult and painful period, which had severe financial consequences for ordinary people. But their position now is much better than that of the Cypriots. It is also, for that matter, better than other struggling Eurozone countries like Spain and Ireland. Iceland shows the benefits of having control over your own currency. It was the fact that Iceland had the Icelandic króna that made all the difference. The IMF formula for countries with debts that look insurmountable is a combination of loans, austerity and devaluation. Devaluation immediately makes the country’s exports cheaper, makes it cheaper for tourists to visit and gives the economy a chance to grow. Austerity cuts government spending and makes the economy more efficient by lowering unit labour costs. However, crucially it is the combination of austerity with devaluation, which helps the country to recover. Austerity alone is liable to choke off growth and can lead a country with a sovereign debt problem into a debt spiral that it cannot get out of. The contrast with the Eurozone is obvious. In the Eurozone there has been austerity without devaluation. Because the Eurozone countries are in a currency union, they can not devalue relative to each other. One Euro is worth the same in Greece as it is in Germany. What this means is that when Greece found itself with debts that it could not pay, it could only swallow half of the IMF medicine. Without devaluation Greece has been unable to offer ultra cheap holidays to foreigners and its exports have not benefited from a fall in its currency. This means that the austerity side of the medicine has had to be correspondingly more severe. The debtor countries in the Eurozone have had levels of austerity which we in Britain can scarcely imagine. The cost has been correspondingly high in terms of social cohesion and unemployment. Britain too has faced an enormously serious crisis since 2008. It is frustrating to realise that both government and opposition are still playing politics with an issue, which amounts to a national emergency with the potential to massively and permanently undermine our standard of living. It makes the debate about Scottish independence appear trivial and unworthy of serious attention. But although no one should underestimate the seriousness of our economic problems it is worth pointing out that Britain has benefited enormously from being an independent country. Because we have our own currency and our own central bank we have been able to self-administer the IMF medicine of austerity and devaluation. The pound has fallen considerably since 2008 against a wide variety of foreign currencies. The Bank of England has been able to follow a path of ultra low interest rates and expansive monetary policies have provided liquidity to the economy. This has meant that although we have had a certain level of austerity, it has been at a much lower level than would otherwise have been the case. If Britain had been in the Eurozone we would have had to take only the austerity side of the medicine and it would have been correspondingly more bitter. One of the main benefits of being an independent country is having one’s own currency and control over fiscal and monetary policy. It is this which saved Iceland. But being an independent country within a currency union means being in the position of Cyprus, Greece or Ireland. Compare and contrast what happened to Scotland in 2008. Our banking sector, just like Iceland was far too big for the size of our population. The crisis which hit the Bank of Scotland and the Royal Bank of Scotland was a modern Darien scheme, which had the capacity to bankrupt all of us. But we were lucky. We had a Scottish Chancellor of the Exchequer and we had a Scottish Prime Minister and we were bailed out. We were not only in a currency union with the other parts of the UK, we were in the same country and under those circumstances our fellow countrymen did not count the cost. Money was transferred around the UK to wherever it was needed. Being a part of one of the world’s great financial powers meant that we had the combined strength to deal with the crisis. If Scotland had been fully independent when a financial crisis like this had hit, we could have dealt with it. But only if we had had our own central bank and our own currency. 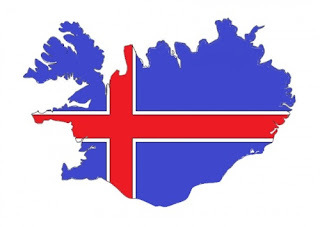 If tiny Iceland can come out of such a crisis in good shape, so too could Scotland. It would have been difficult, but we would have managed. The one position however, that would be extremely difficult would be if we were an independent nation state in a currency union with foreigners. What we have learned from the crisis in Cyprus is that foreigners in the end have a limit to their generosity. Germans will not bail out Cypriots for free. The fact that they are in the EU and the Eurozone does not make them any less foreigners. Independent Cypriots are on their own, but being part of the Eurozone they have given up the means to help themselves. The debate about independence is overly polarized. Nationalists are unwilling to see any benefit in being in the Union, while unionists are unwilling to see any benefits to being independent. But, being a fully independent state clearly has benefits. Perhaps, the most important of these is having one’s own currency and central bank. These give a country the ability to adapt economic policy to its own needs. Being an independent country within a currency union however, means that citizens of that country can not expect to obtain the same preferential treatment that is given to compatriots, but neither do they have control over the economic levers, which full independence would grant. In the event of independence, Scotland would be in the position of Cyprus rather than Iceland. We would be in a currency union with England, but they would be pulling the strings. If we have learned anything from the economic crisis, it is that monetary union without fiscal and political union is economically incoherent. If Cyprus were in a political union with Germany there would be no question of the Germans transferring whatever was needed to help out their compatriots. But without this political union the Cypriots get the worst of both worlds. An independent Scotland with its own currency and central bank is economically coherent and possible. Whether it is desirable is another matter. But this is not what is on offer. If Scotland were to vote for the SNP model of independence, we would lose something vital and beneficial, our citizenship of the UK, but we would not gain even the benefits of independence, which were available to a country as tiny as Iceland.